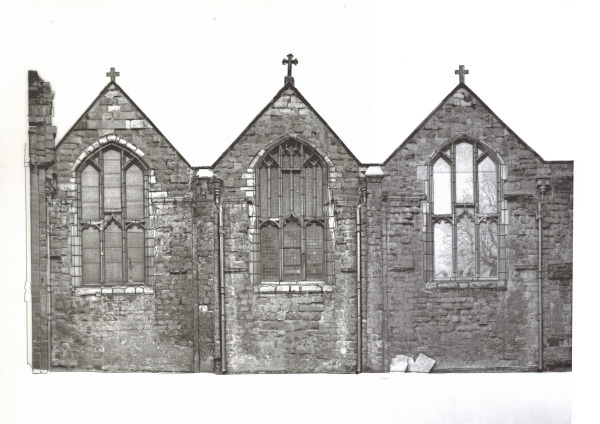 BHN have Carried Out Many Phases of Repair at this Important Grade 1 Listed Church. Shrewsbury Abbey was founded in 1083 as a place of Christian witness and worship. It is a Grade I Listed building that is still in use today as a Parish Church. It is a building of great historical importance. In 1136 the bones of St Gwenfrewi, known as St Winifred to the English were enshrined in the Abbey. The Medieval Abbots of Shrewsbury were often drawn into political life because of their great diplomatic and administrative skills. They would be called upon to inspect the local militia, they served as Justices of the Peace and as gaolers for important hostages; and, from the 13th century, they sat in Parliament. In the 20th century, it became the home of the fictional Brother Cadfael, and now receives thousands of visitors a year who want to connect with the stories they have read of the Benedictines who lived in the Abbey. Mark Newall was appointed Abbey Architect in 2000. Since his appointment he has supervised a number of repairs on the fabric of the building including extensive repair of the North Elevation Stone work. This included new tracery to the North windows along with areas of new dressed stone to replace heavily eroded existing stonework.